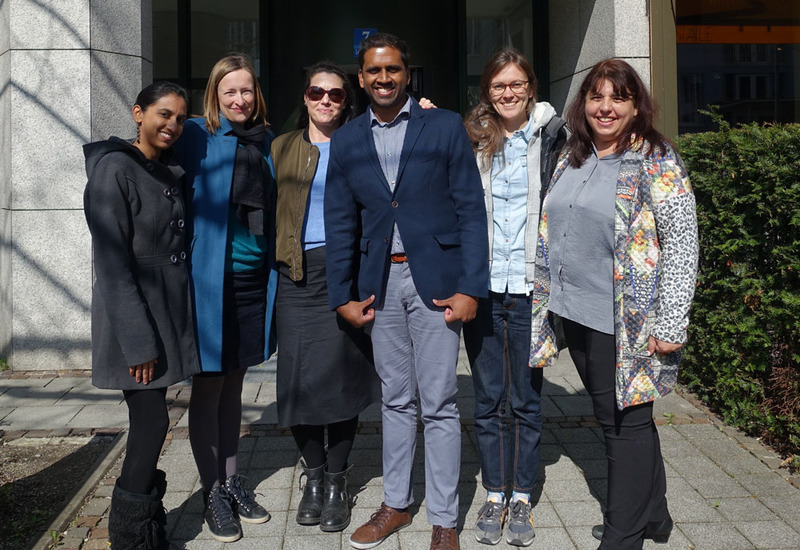 Aurum (South Africa) and LMU (Munich), the coordinators of the TB Sequel project, organized a 3 day meeting in Munich, Germany from the 22nd – 24th March 2017. This meeting consisted of fruitful discussions around all aspects of the 5 Research Tasks, capacity development and networking strategies, as well as monitoring and communication plans. The next planned capacity development activity will be the clinical training for the cohort study! It will take place in Johannesburg, South Africa during the first week in May 2017. The general purpose of the training will be to enable the site’s clinical investigators to perform clinical/technical examinations in TB Sequel, such as: clinical examination, spirometry, 6 minute walking test, CO-measurement, ECG writing, to correctly and consistently collect the data we need to assess the different risk variables and outcomes, and also to interpret data correctly to fill out the corresponding eCRFs and to treat patients with the appropriate medical care.